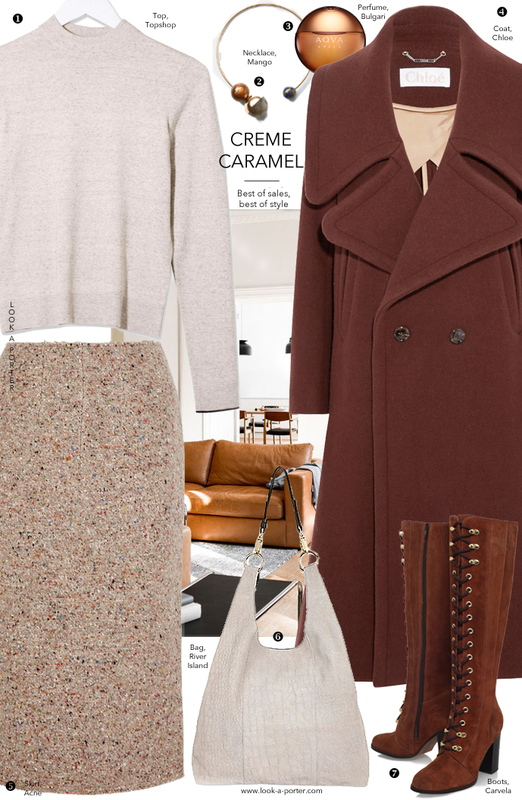 Toffee, caramel, latte and some burnt orange, for the trend part. Serving style like you would the most delicious dessert. Tempted? That skirt looks like confetti! Such happiness. Love this color family.